A cosmetologist is a styling professional for hair, nails, skin and general beauty. Although cosmetology students do typically receive a small amount of skin care education, the main focus of a cosmetology training program is hair and hair styling. On average, most cosmetology programs only include 2 weeks of skin care training. An esthetician, on the other hand, is a professional technician who has undergone specialized training in skin care. An esthetics school focuses on the anatomy and physiology of the skin, chemistry of ingredients, proper skin care techniques, and advanced skin treatments. Both careers can be very rewarding, but if you’re interested primarily in skin care and becoming an esthetician vs cosmetologist, we recommend seeking out a school that specializes in only esthetics training to ensure you receive a tailored and thorough education. In order to practice cosmetology in the United States, you’ll need to complete a training program and obtain a state cosmetologist license. To become an esthetician, all U.S. states, except for Connecticut, require that you complete an esthetics program and obtain state licensure. 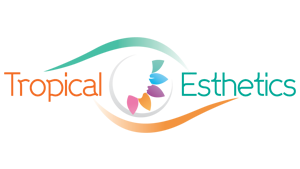 The time necessary to complete each of these programs will vary by state, however most esthetics programs range from 500 hours to 750 hours and most cosmetology programs range from 1000 to 2000 hours. In Illinois, individuals must complete 750 hours of training in a state-approved esthetics program or 1500 hours in an approved cosmetology program to be eligible to take the state board licensure examination for the respective profession. Only after completing a training program and passing the state board examination will you be licensed to practice. The third difference between an esthetician vs cosmetologist involves the type of treatments they provide. While cosmetologists are styling professionals that address beauty, hair, makeup, and general skin-care, an esthetician performs specific skin care treatments. Common procedures that an esthetician may conduct, include deep cleansing treatments, microdermabrasion, facial massage, exfoliation, body wraps, waxing, and superficial chemical peels. A cosmetologist typically performs hair cutting, styling, and coloring services rather than skin care services. An esthetician may work alongside professionals in the medical field, performing or assisting with a variety of procedures. Estheticians are needed in hospitals, dermatology practices, plastic surgery centers, and other health care facilities. The duties of an esthetician working in a medical setting may include things like working with burn unit patients, chemotherapy patients dealing with hair loss and skin challenges, or dermatology patients receiving chemical peels for acne scars. 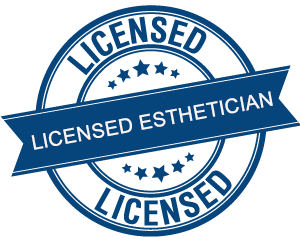 In some states, such as Illinois, there is no separate “Medical Esthetician” license. Therefore, these individuals would be working as unlicensed assistants to a physician when performing services outside the esthetician’s scope of practice. A thorough esthetics training program will offer the requisite knowledge to ensure your success in when working in a medical setting.